Linda Morton Fisher is Principal Bassoonist with the Pittsburgh Opera, the Pittsburgh Ballet Theatre and the Civic Light Opera Orchestras. Ms. Fisher is also on the faculty of the University of Pittsburgh, and in the summers is principal bassoonist with the Lancaster Festival in Ohio. 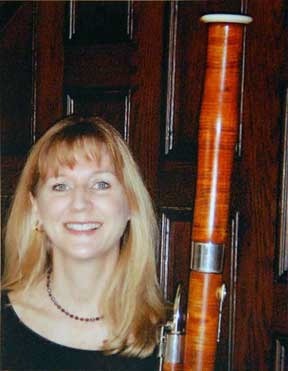 Linda holds an undergraduate from the New England Conservatory of Boston, and was a scholarship student at the Juilliard School, New York City.Linda Morton Fisher is principal bassoonist with the Pittsburgh Opera, the Pittsburgh Ballet Theatre and the Civic Light Opera Orchestras. Ms. Fisher is also on the faculty of the University of Pittsburgh, and in the summers is principal bassoonist with the Lancaster Festival in Ohio. Linda holds an undergraduate from the New England Conservatory of Boston, and was a scholarship student at the Juilliard School, New York City.